​St Paul’s Cathedral is one of the most recognised buildings in the world and probably the most famous on London’s skyline. Until some time ago there were no chandeliers in the main body of the cathedral. We were asked to join the design team to undertake the challenge of creating and making chandeliers to be used throughout the cathedral that would look as if they could have been there since the cathedral’s 17th century beginnings. We are often asked by our clients to be more than just a supplier and become an integral part of their team so that we can help with important decisions that have to be made about the lighting from the beginning of the project. This assignment brought with it unique challenges. 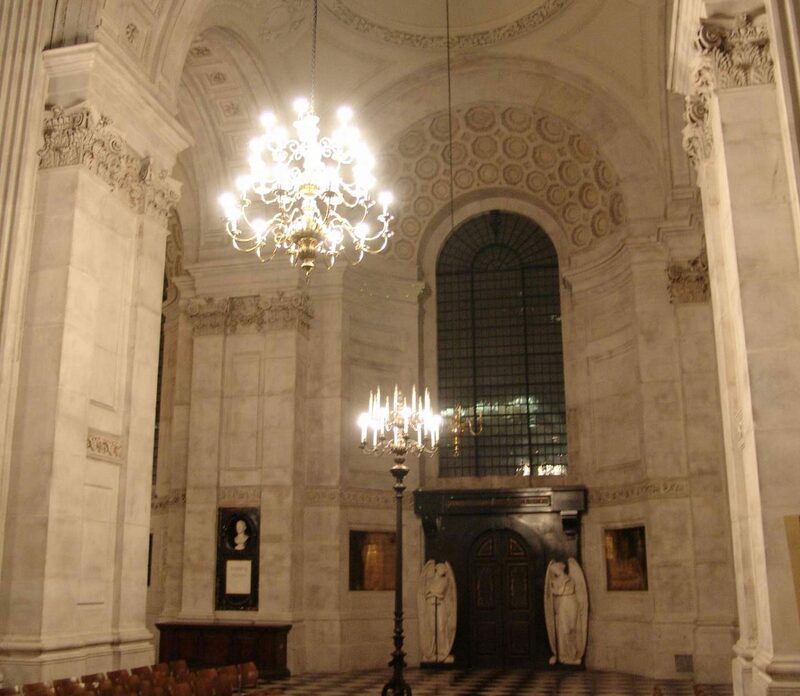 In most historic buildings we can research old records of what candelabras may have been used, but at St Paul’s we were starting from a blank sheet. Then there was the added pressure of knowing that your work will be part of an historic building that is going to be around for many hundreds of years to come. It was a daunting task and a hefty responsibility but one that our experienced and skilled team of craftsmen relished. 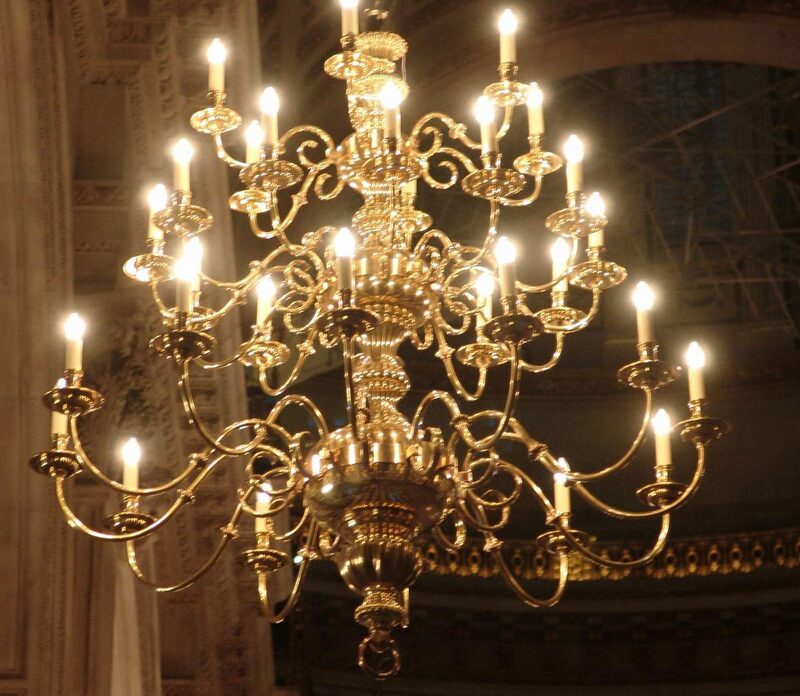 The end result was fantastic chandeliers cast in our factory from solid brass, which were some 2m high. And, very importantly, they look as though they belong which is the key mark of a successful design and manufacture scheme. In fact, it is amazing just how many people who visit the cathedral assume that the chandeliers are original fixtures that had been converted over the decades.